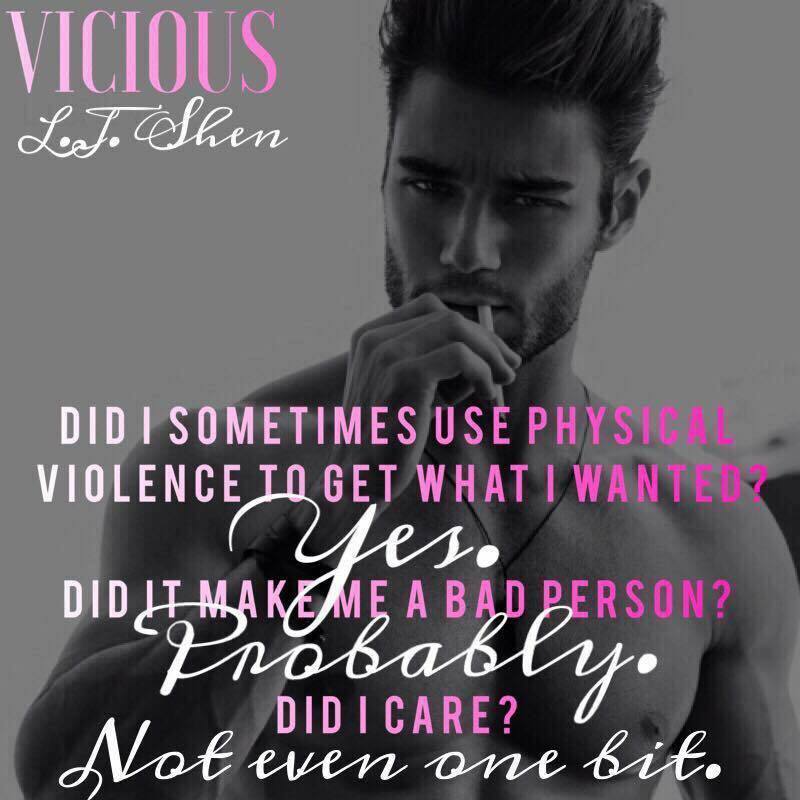 Review: Vicious by L.J. Shen | The Biblioholic ~ Read more. Sleep less. I called dibs. He's mine!! I don't know how this author creates such perfect A-holes. I still think Troy (from Sparrow) was the worst, simply because of the disgusting things he did in the home he shared with Sparrow, but Vicious could definitely give him a run for his money. Vic did his assholery on a different level and yet even while he was doing it, I couldn't help but love him. I was screaming "Nooooooo" while he was doing it, but loved him just the same. Maybe because it was fairly obvious how in love he and Emilia were with each other (though completely blind to it), even 10 years ago and despite all of the wrong shite he did. Emilia was also an amazing character. She was sympathetic, compassionate and understanding. I loved the way she drew out such powerful feelings from Vic. He was normally so cold but she unleashed his passion. And because of her, we were able to see the greatness that was within him. I loved how she pushed him. How she changed him. The two of them together may have seemed messed up when compared to the norm, but to me, they were beautiful. Who cares about the so-called norm anyway? I loved their hate, their art, their banter, their thoughts, their trials and tribulations, their intimacy, and their love. Favorite Quote: "I loved her. I loved her so fcking much there was only going to be one way out of this marriage other than death, and that was if Emilia woke up one day and decided to fck every single guy on my phone's contact list. Even then, I might forgive her."